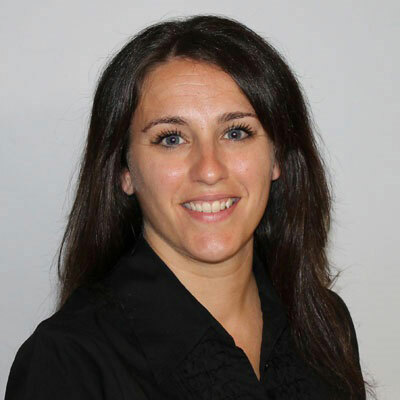 Bufalini has worked at RSA and EMC for more than 13 years, rising to director of Global Channel Operations in 2013 and taking over RSA's Americas Field and Global Channel Marketing duties in 2015. Over the past year she has led an effort to partner globally with RSA's Strategic Partners to drive awareness and message RSA's Business-Driven Security approach. Having held multiple roles within RSA's channel organization, I played a significant role in bringing RSA's channel strategy to life. This year is truly the year of the channel for RSA, and I am proud to be at the forefront of this transformation. We are bringing our partners into the spotlight, standing behind them in true partnership instead of competing against them. Removing channel conflict will allow both RSA and our partners to shine and succeed in a way that was previously impossible. Bring our committed partners new business and resources so that they can thrive. Saying we are putting our partners first is one thing, actually demonstrating this is something that RSA is already doing. We are investing a great amount of time, resources, and money into our partners. The only way this works is if we invest in each other. CRN Power 100 Only the most influential of the Women of the Channel list's constituents are selected for the Power 100, each singled out for her unique role in the advancement of her own organization and the IT channel at large. CRN Woman of the Channel CRN's editorial team selects the Women of the Channel honorees on the basis of their professional accomplishments, demonstrated expertise and ongoing dedication to the channel. Princess Diana would be my female role model. She was heavily involved in a variety of charities and always carried herself with grace, despite being heavily scrutinized and in the spotlight. She was well-known for fundraising for international organizations, and thus used her stature to make the world a better place, especially with children's hospitals. One word: confidence. Having confidence in who you are, what value you bring, and the confidence to just go for it. Too often, women overanalyze and hesitate when opportunities come their way. It's an exciting place to be, both young and female in the workplace. There are so many doors that remained unopened, it just takes the confidence to take a risk. Trust in yourself that even if you trip along the way, ultimately you will learn from those experiences. Chesley Sullenberger, aka Captain Sully, the man who made the life-and-death decision to land a powerless Airbus A320 on the New York City's Hudson River surface, something hailed as unique in aviation history. When disaster struck and deadly danger rose before him, he wasn't heroic, what he did was just "fly the airplane."